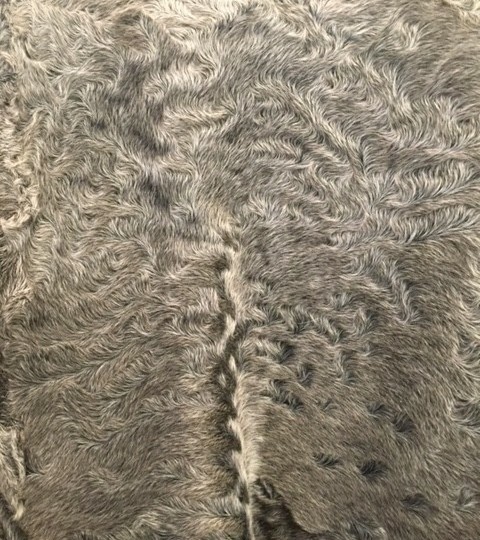 Is it possible to enjoy my furs year round? 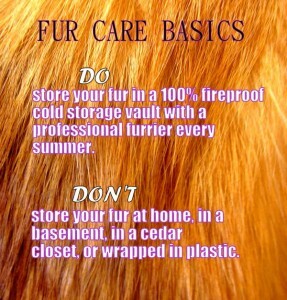 The answer is – some furs, yes. In particular, many accessory pieces that we offer can be enjoyed year round. 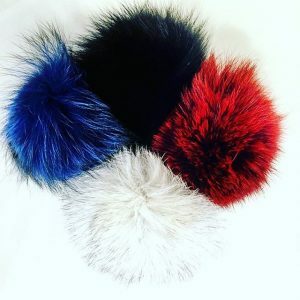 Since the Kentucky Derby is Saturday, May 7th, you might wish to wear something with fur to either a party or Churchill Downs. 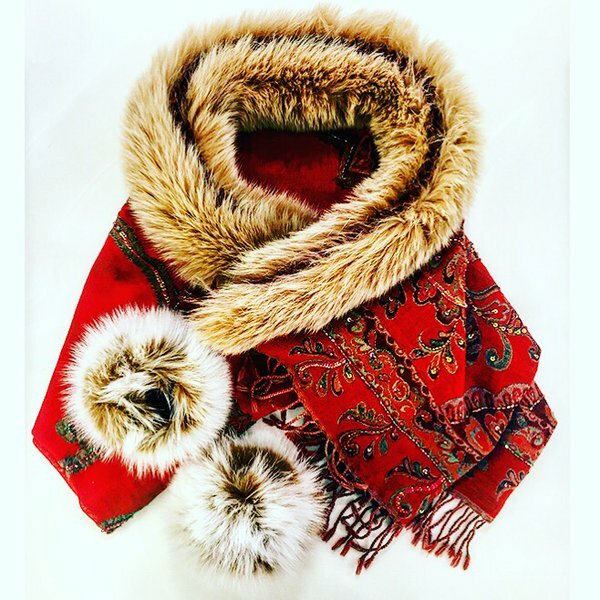 One of our pieces is a silk scarf with a mink pom. 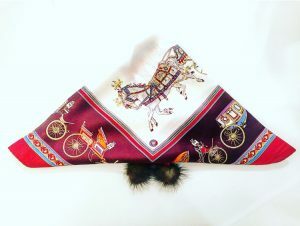 This particular scarf has a beautiful carriage scene and the colors are vibrant. This can be worn any way you choose! Two of our favorites include a Black Leather Evening Purse with Ranch Mink Trim. This is a perfect shopping purse because of its size. It isn’t extremely big, but it isn’t small either. It can comfortably fit your wallet, keys, phone, and a few other things if necessary. 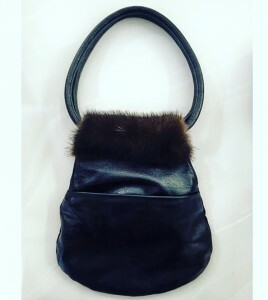 Along with this purse is a Brown Braided Belt with Mahogany Mink Tails. This piece is very unique. It can dress up any outfit of your choosing (we love pairing it with our skirts or dresses to give our outfit a new sort of elegance). 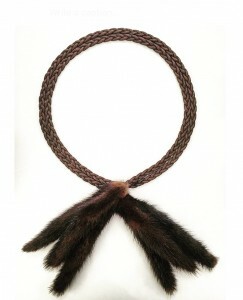 We also have Multi Color Fox Hair Bands that are absolutely beautiful in any hair color. The fox provides an incredibly soft fur and are a great solution to up style a ponytail. Next is a Red Wool Woven Wrap with Fox Trim. This wrap is a necessity for cool spring, summer, and autumn nights. It provides enough coverage to keep you warm and the red makes any outfit perfect. A favorite of ours is our Blush Fox Cuffs. These pieces are very unique and can be worn in a few ways. They can be paired with any type of shoe (heels, boots, even flats!) to dress up a look. Another way to wear these is as a bracelet. All you have to do is snap them around your wrists and you’re good to go! 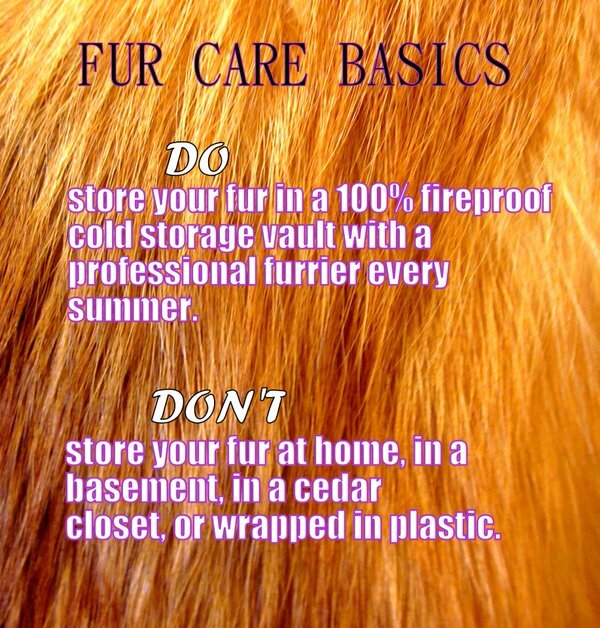 Of course your full length sheared beaver coat or your mink stroller (for example) need to be stored every year in a temperature controlled vault (If you would like a tour of ours, we would love to show you exactly where your garments will be stored for the summer. Feel free to request a tour when you drop off your furs!). We also recommend cleaning these garments yearly. At the very least, we urge our customers to clean their garments at least every other year because it helps the skins from becoming weak. This will typically prevent rips in your garments because it conditions the skins. We will even show you where we clean and repair your garments (we are very proud to show our customers because we believe it is important for everyone to know what we do with garments in our care).